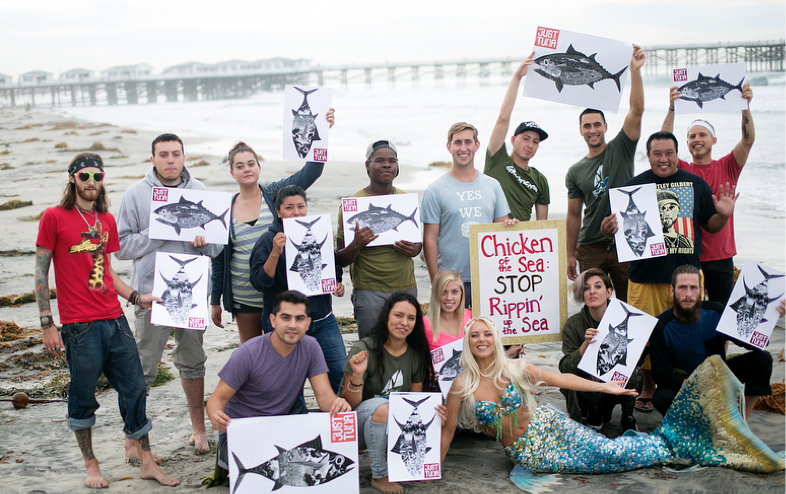 The goal of the campaign was to fund a massive billboard to sit right outside of Chicken of the Sea’s headquarters, calling on them to improve their practices. 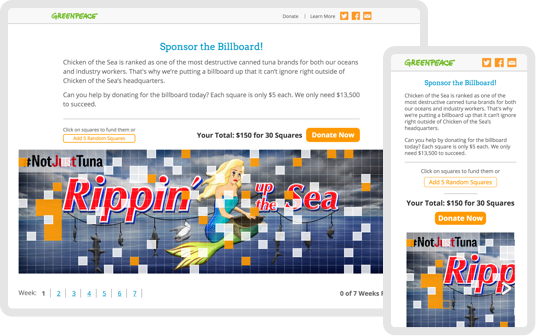 To raise money for it online, an image of the billboard was divided into squares, which supporters could select by clicking on them and then make a donation to fund those specific pieces of the billboard. Once all the squares were funded, there would be enough money raised to get the billboard up. We wanted to attract a large number of existing donors, as well as new ones, so we set the donation amount for each square to only $5. 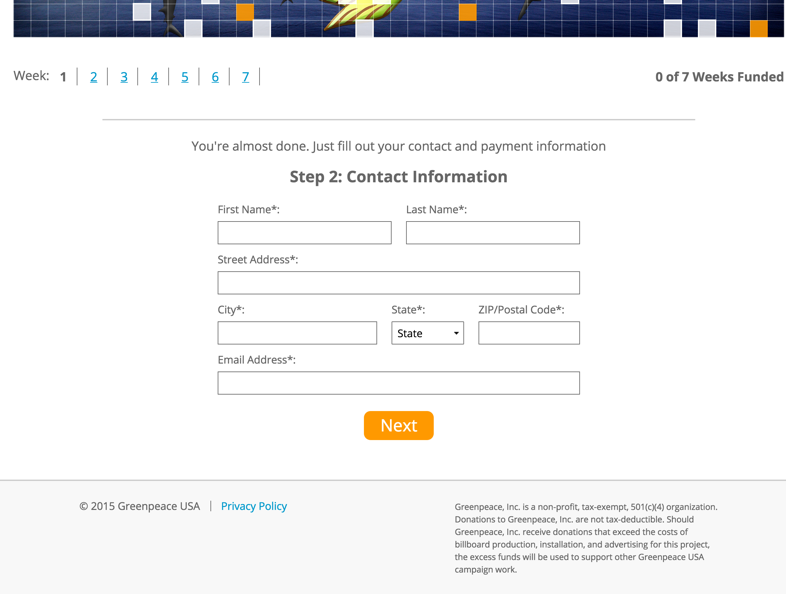 Once we’d settled on the plan, ShareProgress got to building the campaign, extending Greenpeace USA’s Convio donation system to allow for this new type of donation. 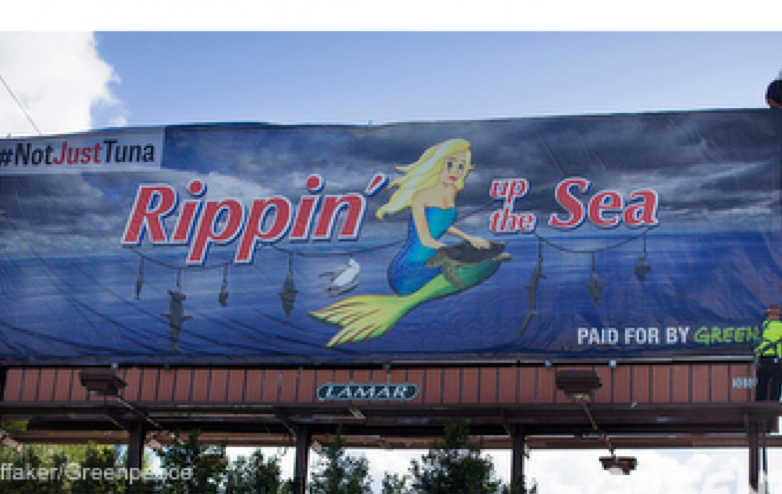 On October 16, Greenpeace USA launched the campaign, slated to run for two weeks and (holding our breath here) hopefully raise $13,500, enough to have the billboard up for four weeks outside of Chicken of the Sea’s headquarters. To say it simply, the campaign’s success blew past its goal and all of our expectations. In two days, Greenpeace reached their fundraising goal. 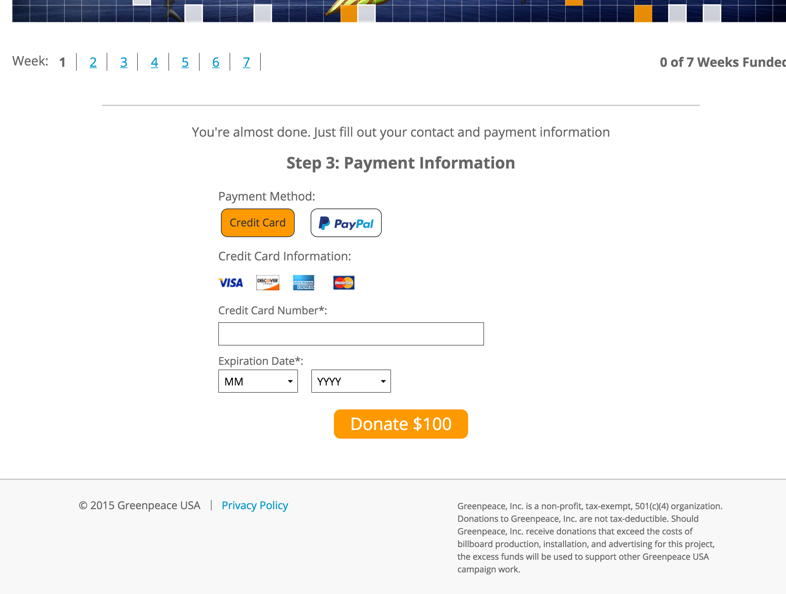 By the end of the two weeks, Greenpeace raised $20,705 (153% more than their original goal of $13,500). Over 1,771 people shared the billboard, helping Greenpeace reach 1,254 donors in total, with over 40% of them first-time donors. The average gift was $16.33, funding more than three squares per donor.